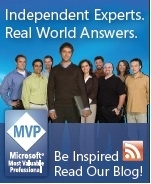 From Anand's Sandcastle Blog: "We are currently working on updating Sandcastle to ship content for VS 2010 Help3 viewer." and "After we ship VS 2010 Beta 1, I will post an updated version of sandcastle that we will be using for shipping VS 2010 Beta 1 MSDN library. This will include the following features and several bug fixes... <snip> and Attributes supporting Microsoft Help 3 viewer." Yes folks the new Help 3 viewer and engine will debut in Visual Studio 2010 Beta 1 (availability TBA). For more information catch Anand Raman and April Reagan at this years 2009 WritersUA Conference (March 29 - April 1). Microsoft Help 3 is a new client help system! This help system has been built from the ground up with simplicity, performance and relevance in mind. It was not a straightforward road in getting the project approved, and with a large legacy content base and complex content scenarios, it took a lot of long and heated design discussions with a will to favor simplicity. The end result is a greatly improved deployment model, a fast underlying architecture based on the Zip storage standard and a beautiful new Windows Presentation Foundation based help viewer featuring a web-browser feel. Initially shipping as the product help system for the next wave of Visual Studio products, this system will become available to all Windows developers in the near future. This will be the first wide release of a help system from Microsoft since Help 1 (aka HTML Help). WritersUA (formally WinWriters) run a great conference, lots of great speakers and sessions. As usual Help MVPs will be attending and speaking.